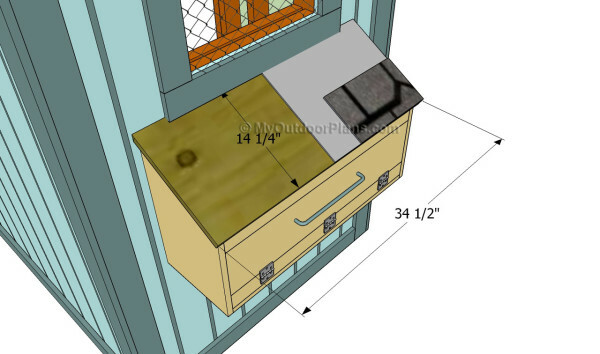 This step by step diy project is about free chicken nest box plans. Building nesting boxes is the next step after assembling the chicken coop. We strongly recommend you to pay attention to the rest of the project, if you want to learn how to build a small chicken coop from start to the finishing touches. Apply a few coats of protective paint o the components, in order to prevent them getting damaged. The nesting boxes can take many shapes, so you should be really careful when building the wooden structure. Use quality lumber and take accurate measurements, if you want to get the job done in a professional manner. Mark the cut lines with a pencil on the slats and get the job done with a circular saw. Add waterproof glue to the joints if you want to enhance the rigidity construction. 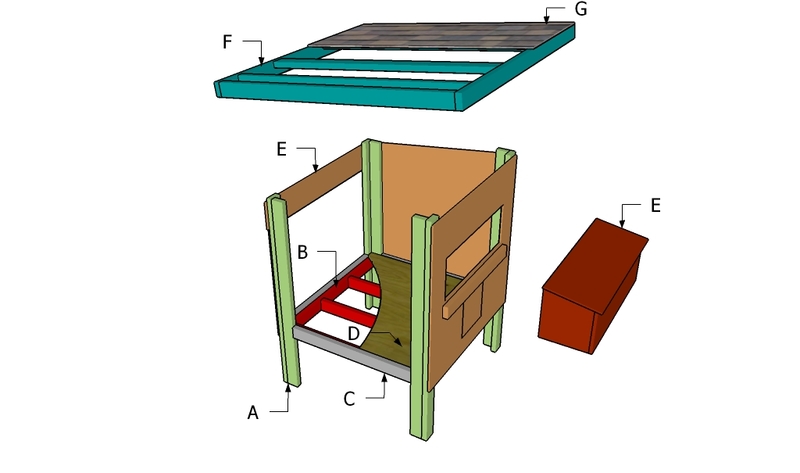 Top Tip: After building the chicken coop, we recommend you to assemble the nesting boxes. As you will see in the project, we recommend you to use weather-resistant lumber, as the boxes will be exposed to rough weather. The first step of the woodworking project is to build the frame of the box. 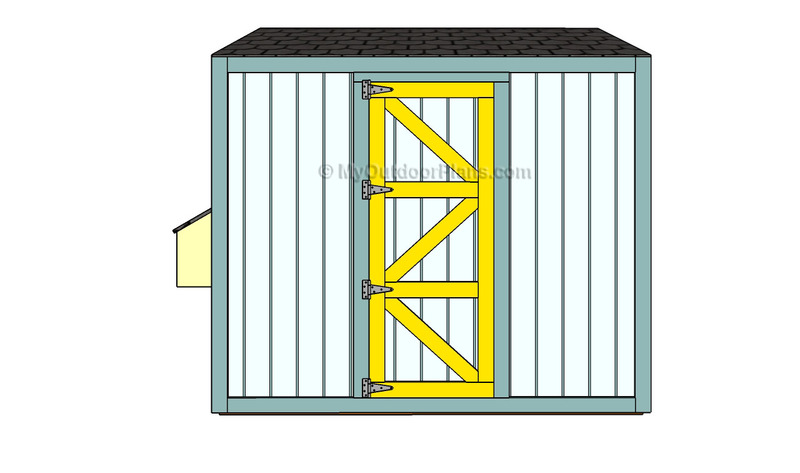 As you can see in the image, we recommend you to build the components from 1×12 lumber. Mark the guidance with a pencil before adjusting their size with a circular saw. Drill pilot holes through the side components and insert finishing nails into the bottom of the chicken nest box. Add waterproof glue to the joints if you want to increase the rigidity of the structure. 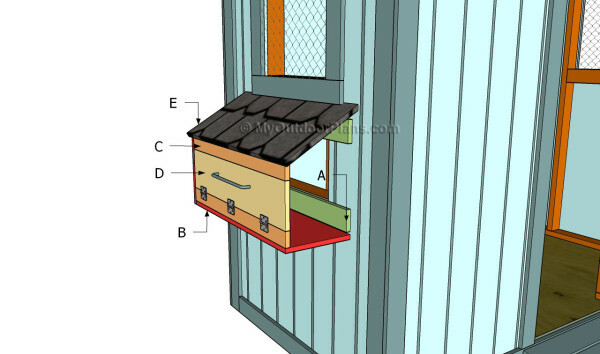 After building the frame of the nest box we recommend you to attach it to the side of the chicken coop. Therefore, cut several pieces of 1×3 lumber and attach them around the opening, as in the plans. Top Tip: Afterwards, fit the box around the wooden supports and lock it into place with screws and finishing nails. Add waterproof glue to add support to the construction. Building the door of the nesting box is a straight-forward process, especially if you pay attention to these instructions. 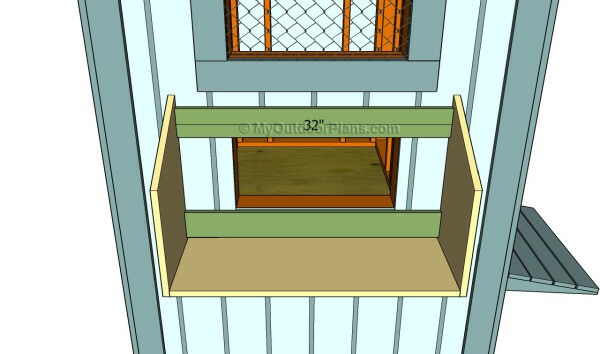 Therefore, fit two supports at the bottom and at the top of the nesting boxes and lock them to the both sides with finishing nails. Build the door from 1×8 lumber and lock it to the bottom component with metal hinges. Install a simple metal handle and latch, in order to get the job done in a professional manner. 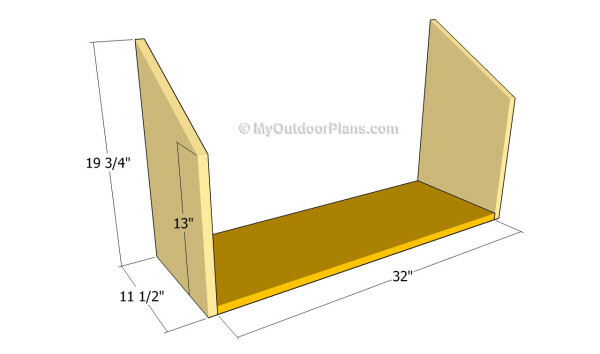 Continue the woodworking project by attaching a piece of 3/4″ plywood over the structure. Lock the plywood to the box with 1 1/4″ galvanized nails. 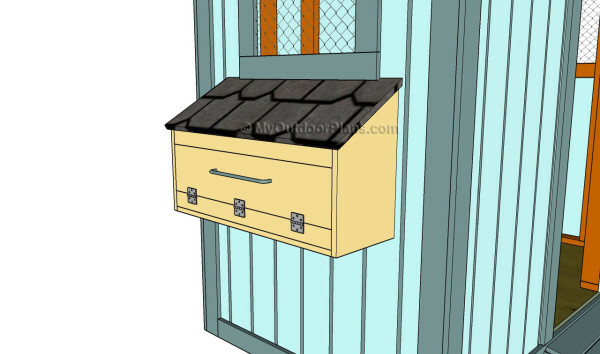 Afterwards, install tar paper over the roof and lock strips into place with staples. 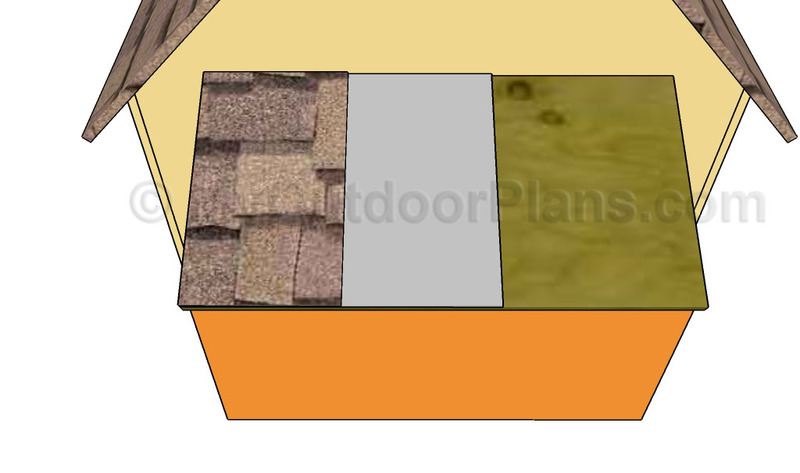 If you really want to make your chicken coop stand out, we recommend you to install asphalt shingles over the roofing underlayment. Pay attention to the manufacturer’s instructions for a professional result. Top Tip: Don’t forget to take a look over the rest of the project, if you want to learn how to build the door for the chickens. In addition, in the next parts of the project we show you how to fit the trims. 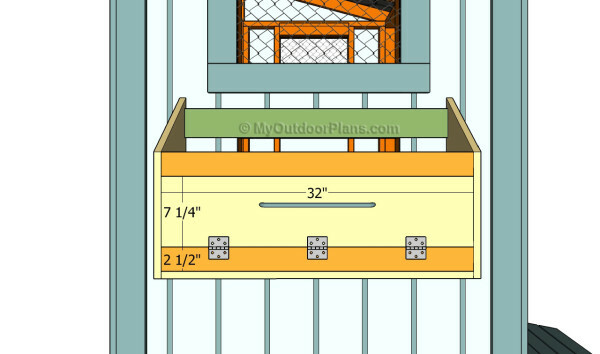 This woodworking project was about small chicken coop plans. If you want to see more outdoor plans, we recommend you to check out the rest of our step by step projects. LIKE us on Facebook to be the first that gets our latest updates and submit pictures with your DIY projects.